Developers Research has prepared financial analyses for thousands of real estate projects in 22 states containing millions home sites and billions of square feet of commercial and industrial property. Our clients include real estate developers, builders, banks, investment funds and local jurisdictions. 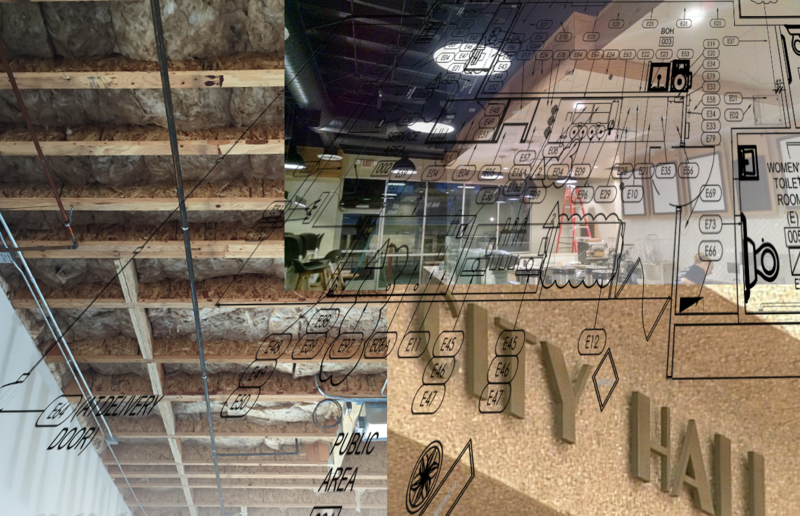 This diverse array of clients give us a unique perspective on the development process and industry as a whole. During the past 2 decades, Developers Research has provided land sellers, buyers and financial institutions with detailed analyses of the costs of construction. Our evaluation method includes reviewing all land entitlement documents, meeting with appropriate government personnel and project consultants. Using state of the art software, we complete detailed takeoffs on tract or parcel maps and improvement drawings, including grading plans, to develop the most detailed and accurate cost estimates. For examples of our cost estimates and the detail we can provide, feel free to contact us. The largest and most unpredictable cost of land development is often the grading. 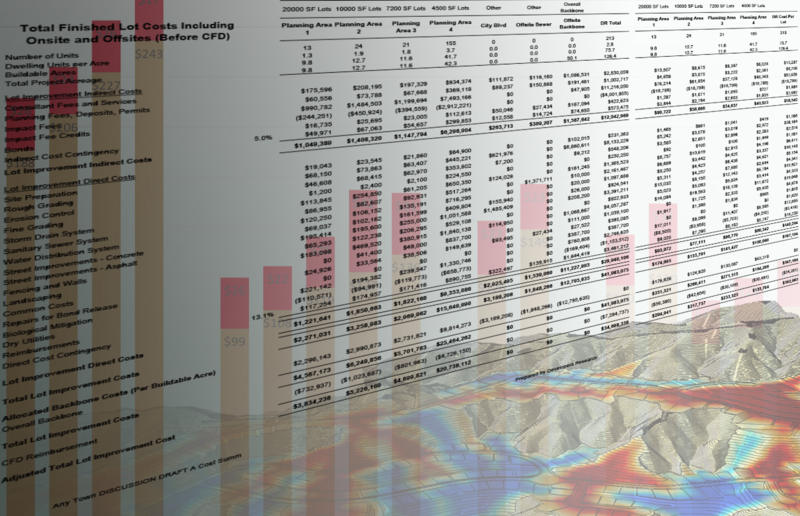 Developers Research has prepared thousands of earthwork takeoffs and cost estimates, some over 50 million cubic yards, using the same software and techniques as the grading contractors. 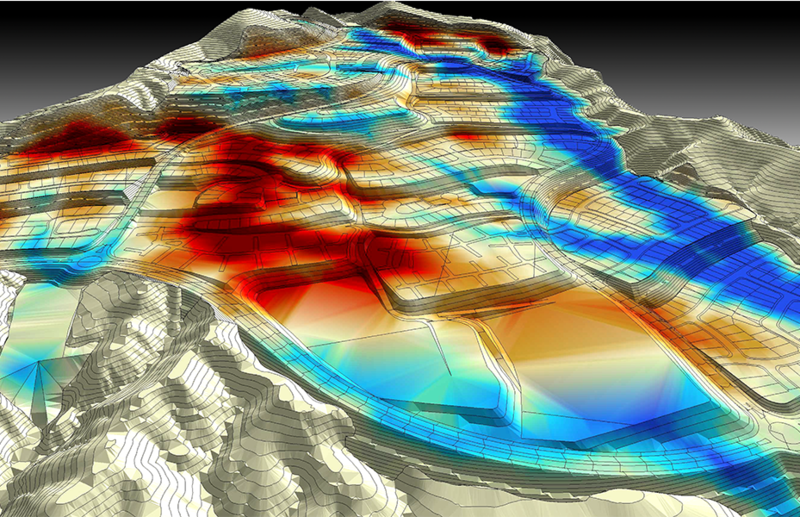 Our 3D analyses and graphics include not only the cut and fill, or mass excavation, depicted on the civil engineering drawings, but also the subsurface remedial grading specified in the soils report such as alluvium removals, landslides, slope stabilization, and hard rock excavation and blasting. With the abundance of knowledge, we have gained from analyzing so development projects, DR is able to make recommendations reduce major cost items and identify revenue opportunities with a process we call Value Planning. VP is a mix of Value Engineering and Land Planning, in which we produce a conceptual land plan that minimizes initial project costs, allows for phasing of grading and improvements, maximizes lot premiums and revenue possibilities, and drives down the overall cost of development. Land buyers and investors need certain critical information before they decide to invest in a project. We can help them perform many facets of their due diligence. DR can provide support determining the property's stage of entitlement, researching municipal fees, covenants, conditions, and restrictions on the property, and evaluating the status of land improvements in progress or scheduled to start. In addition, we provide project management services for all stages of construction and entitlement. We offer cash disbursement services for financial institutions where we review loan draw requests to validate invoices, lien releases and insurance compliance as well as conduct monthly site inspections including a comprehensive status report. For project owners, we provide “boots on the ground” services to help coordinate entitlement, construction management and scheduling between consultants, contractors and municipalities. 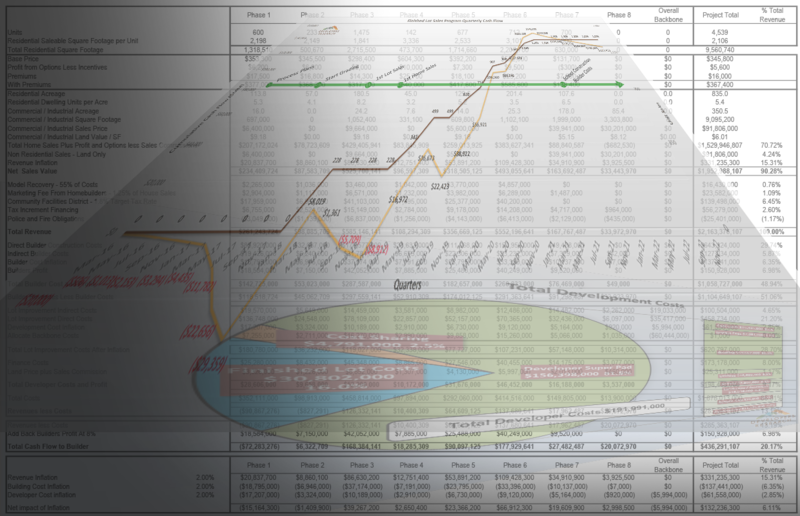 In addition to working in our proprietary Excel models, Developers Research can program our analysis to flow directly into our clients own computer models saving time on data entry and eliminate errors in translation. Additionally, as part of your team, we are able to audit and optimize your models to increase your accuracy and profitability.